At Spec-Savers Bloem Plaza we have 1 qualified Optometrist who believes in: Maximizing patient satisfaction; Leadership - Professional effectiveness will have a lot to do with how you leverage the respect of staff members through your personal leadership, to improve the quality of the the care you jointly deliver; Continuous improvement - Constantly challenging the effectiveness of office routine, seeking ways to improve. Patients are the heart of the business, without them the organization would not exist. Each day we have opportunities to make a substantial difference in our patients' lives. Therefore, we strive to prescribe the best solution to maintain good life-long vision. When you visit us you will receive: Empathetic listening - It's in the tone, in the facial expressions and the gestures of the patient's service representative; Patients love to be heard and understood; Tenacity - Try to out-do oneself and not give into complacency; A patient's trust is won when they see the determination to deliver excellence every time you serve them; Under promise and over deliver - Follow through on every promise; You will be treated in our testing room, and should you need additional testing we are also able to offer our patient a Fundus camera. 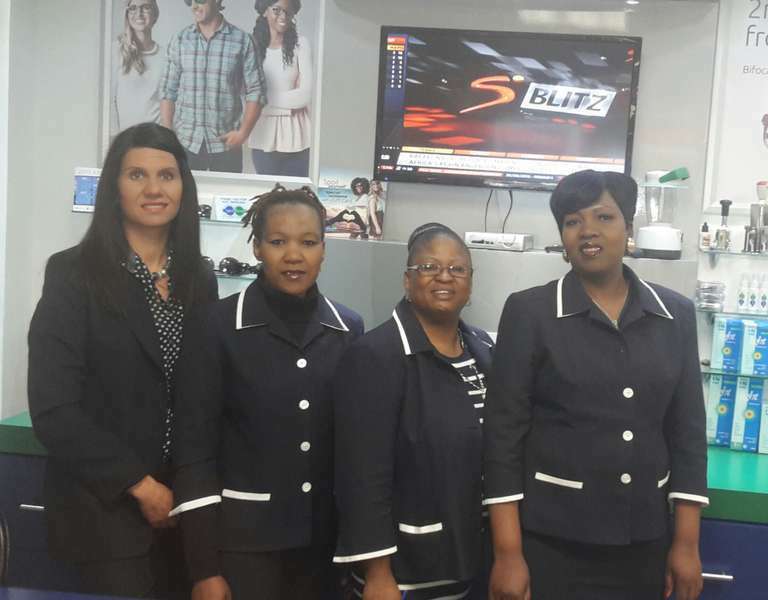 Why not make an appointment online at Spec-Savers Bloem Plaza today to meet our Friendly team!